The Doctor is in need of a dentist, but the sort of anaesthetic Doc Holiday uses comes out of a liquor bottle. He's in the middle of a feud with the Clanton family, whilst Wyatt Earp and Bat Masterson try to keep the peace. This isn't the place for a relaxing holiday, as the TARDIS crew soon discover..
Tombstone's not the most happily named of towns, and it seems it may live up to that name any day now. 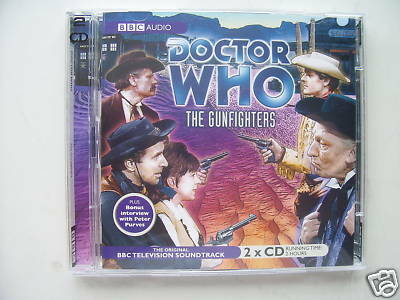 There's a gunfight at the OK Corral brewing and, if the Doctor and his friends aren't careful they're going to get caught in the crossfire.